It's 2016, and a lot of people are making New Year's Resolutions, to finally start something they've always wanted to, or to give up bad habits. It's not exactly a resolution, but I've decided I want to write more letters. When I was younger, I collected stamps. Well, I still do, but it's less frequest that I sit down with my album and add the stamps I've collected (Shh, stamps are like minature pieces of art). As a young teenager, I was a member of the now defunct Royal Mail Children's The Collectors Club. The Collector's Club had a penpal scheme, through which I formed a friendship that lasted into my early twenties, and discovered a love of handwritten letters. Letters have been an important form of communication for me. There's nothing like receiving a handwritten letter from someone sharing some news or just to say hi. For me, friendships have been strengthened through letters; there's something about writing my thoughts down on paper that makes it easier for me to open up, allowing me to more honestly confide in people, and express my feelings and fears. During secondary school, essay-length letters were sent weekly back and forth discussing pop culure, boys, and school life. I've co-authored fan-fiction through letters. I've had my best friend announce his amazing-yet-scary news that he was to become a father through a letter. One of my favourite Christmas presents was a heartfelt letter from the same friend, thanking me for my friendship. It's one of my most prized possessions. The art of letter writing seems to be falling to the wayside, and it's something I'd love to see revived. So I thought I'd share with you some tools and websites that will hopefully inspire you to pick up a pen, and join me in writing a handwritten letter to brighten someone's day. The wonderful Alexandra Franzen - a professional writer whose website is one of my must-reads, full of fantastic advice to become a better person as well as a writer - has created One Letter a Day. It's a free workbook containing "tips to help you craft 7 different types of letters: love letters, apology letters, thank you letters, and more. Write letters… because it feels good, because it’s uplifting, because it’s a simple way to create a beautiful ripple in the world." It's a fantastic workbook full of inspiration, and I highly recommend you check it out (and the rest of Alexandra site, because she's just brilliant)! Alexandra also wrote the book 50 Ways to Say You're Awesome, quotes with pull out pages to write on the reverse to give as thank you notes! The World Needs More Love Letters is a fantastic project where ordinary people like you and I write letters to those going through a tough time, to inject courage, support, and maybe a little hope into their lives. "We basically want to create the most miraculous experience for people when they need it most: hundreds of letters of support and encouragement showing up at someone’s door all because someone in their own life loved them enough to just ask for those love letters." I've partipated in a few bundles, and it's a great feeling, knowing your words might be helping someone. As well as writing letters for those in need, the project also encourages people to leave love letters for people to find, to bring a smile to a stranger's face. The Sun's Agony Aunt, Deidre has a Forces Penpal Service, to become penpals to those serving in the military. Send her an email, and she will respond with a list of people in the Armed Forces who would like to be written to. It can be a great morale boost when they're serving abroad, a distraction from the danger they face. It seems there are hopes that the letters will develop into relationships, but I have written before, and it's normally fine if you state you're only interested in being friends. All Women's Talk shares 15 Best Sites to Find Your Penpal to Write To. I've not personally used any of these sites. Some require a paid subscription, some have you sharing your details online, so I'd look carefully and have a think about what you're willing to do before sharing your information or writing to those advertising. Letters of Note is a brilliant website of wonderful letters written. mostly, to and from famous people throughout history, and has also had two book collections published. Buzzfeed has an article on 15 Famous Love Letters That Will Make You A Romantic. The Yorkshire Post published the heartwarming article how the art of letter writing is helping to tackle loneliness. 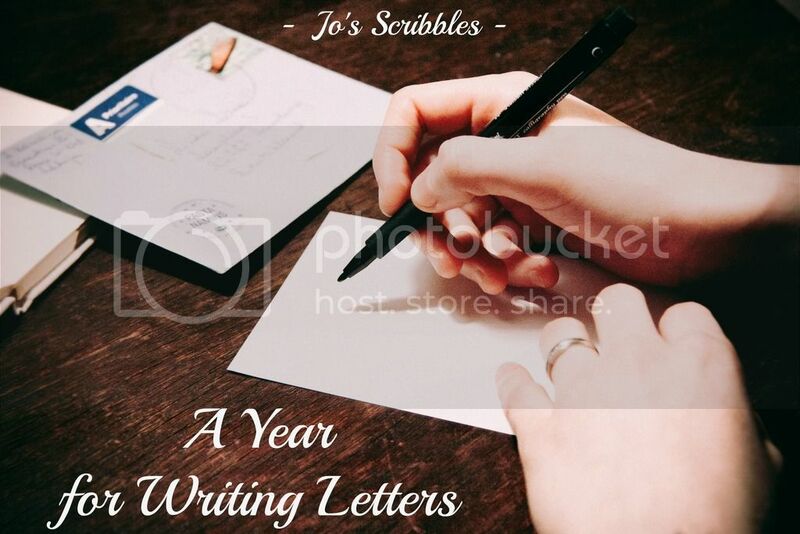 There are so many fantastic letters to read and stories to be moved by, and many, I'm sure, will have you itching to write something to a loved one, someone need, or a stranger. If you know of any other great resources for letter writing or finding someone to write to, please comment with your links! And do share with me your stories of the effect of letter writing!